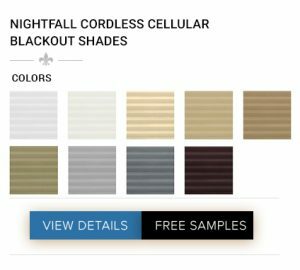 When customers are looking for deals on discount cellular shades this is the right place to shop. 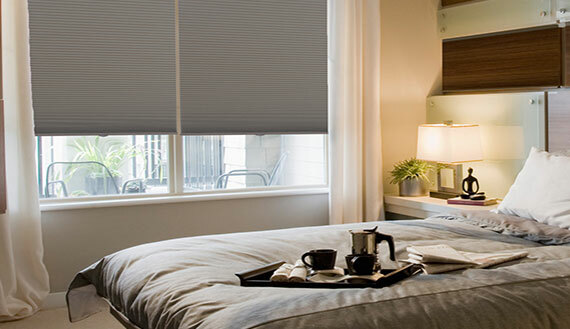 At Affordable Blinds we are industry leaders in quality and price. Why shop anywhere else when we have the best prices on discount honeycomb shades here at Affordable Blinds. Limited time sale going on with huge discounts, shop now! 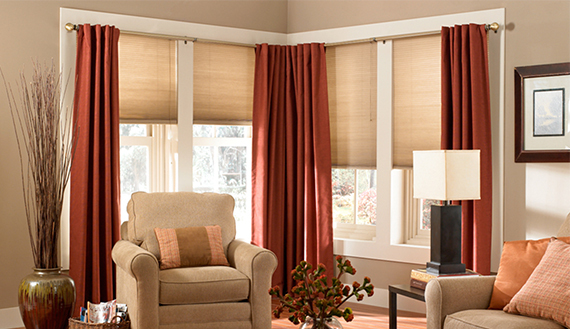 Cellular shades are easily on of the most popular window treatments today and for good reason. They are stylish, elegant and energy efficient, not to mention a great value. Affordable Blinds is an industry leader on both price and quality and we pride ourselves in our great customer service and fast delivery options. Affordable Blinds has plenty of options, colors and styles to meet all your window shades needs. Not to mention great sale prices so customers get the best deal. Cellular shades fold up along pleats and can be pulled down from the bottom or top for convenience. They come in a variety of sizes, color and light control options. Which can be customized to fit your windows. They're great at providing the highest level of insulation due to their shape and the way they are made. This is a question we get a lot when people are looking to get a great deal on low price honeycomb blinds for sale. While our company offers some of the best prices in the industry there are factors to consider when looking at cost. These factors include the type of windows customers need to cover, what type of material you'd like the shades to be made out of and how many windows need to be covered. Some questions to ask when you are purchasing cellular shades. Are you looking for Single or Double Cell shades? What size are the windows you are covering? 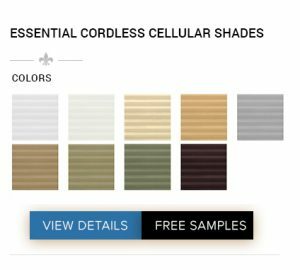 Cellular shades vary in cost depending on the type, but you can check out our prices and you'll see they are very competitive. We have different options with prices that vary but we guarantee you'll get a great deal at Affordable Blinds. What's the Difference between Single cell vs. Double cell? Single cell shades are made with a pocket of cells stacked one on top of the other, therefore creating a single cell in each row. Single cell cellular shades are often more cost-effective than double cell cellular shades. Which can be a great value if you are looking for a cost-saving option. We ave great deals on single cell cellular shades. Double cell shades are constructed from two pockets of cells, that form a double layer. Due to the increase in material strength, double-cell cellular shades are more effective at insulating a room and blocking sunlight from entering the property. 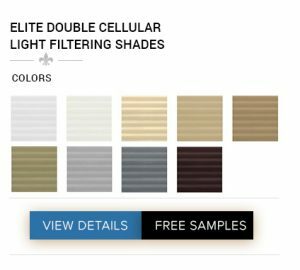 We have great deals on double cell cellular shades. Are Cellular Shades Energy Efficient? Cellular shades are energy efficient because they create a layer of insulation between your window and your room's temperature. Cellular shades are available in single cell or double cell. Depending on the temperature in the area you live, you'll choose the right cellular shade to fit. Opacity refers to the amount of light that is transmitted through a the shades on your window. When it comes to window treatments, there are different options that range from sheer to blackout. Cellular shades are available in all different opacities. This means that you could have them in every room. Control the amount of light in the room based on the type of shade that you decide to go with. Choose sheer cellular shades for maximum natural light, semi-sheer for gentle light filtering, semi opaque for medium light filtering/light room darkening and opaque for room darkening or blackout. Note that opaque cellular shades, often called blackout cellular shades, are one of the best choices for true room darkening. 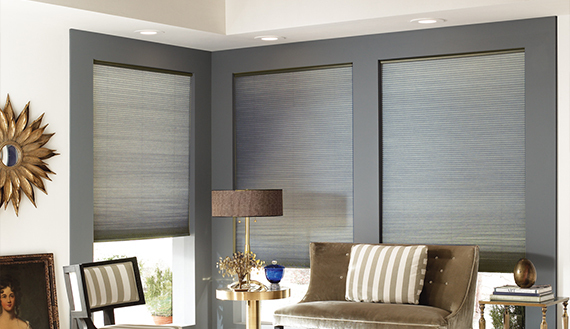 Cellular shades are available with three options: top down/bottom up, cordless and motorized. Top down/bottom up shades allow you to lower them from the top, raise it from the bottom or both. 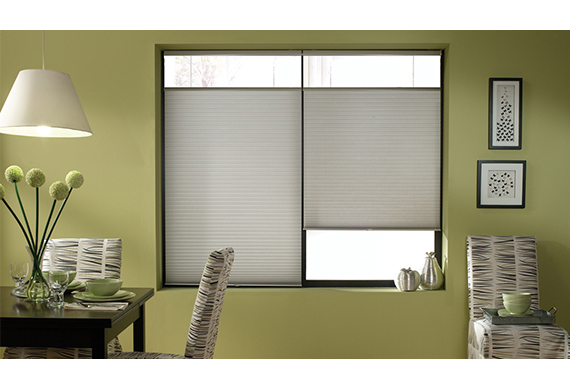 Cordless cellular shades, which come with an important safety feature if you have small pets or children. They don't have the dangling cords which can be dangerous around them. And motorized cellular shades, which allow you to raise and lower the with the touch of remote for convenience. The main consideration when it comes to choosing pleat size is the size of the window. In general, the larger the window, the large the pleat size and vice versa. Another thing to consider when shopping for cellular shades at a discount price. Is whether you plan on mounting them inside or outside your home. While the actual shades don't differ much in regards to this, the mounting hardware is different. Just check the box for inside or outside when you order. And we'll send you what you need to mount the shades on your windows included. How Do I Order Discount Shades? Ordering is easy and safe. Just pick the type of discount honeycomb blinds that you want. Enter in the details including the measurements, whether they are inside and outside mount shades. The color and other options and you're done. It's just that easy. Shades made in 1 day and fast shipping. Not to mention our 110% With our Best Price Match Guarantee you can rest assured that you will never over pay for quality blinds. How does the process work? If you see a lower advertised price we will cheerfully refund you the difference by matching their price and beat it by giving you an extra 10% of the difference off. You can also request free samples and we have free shipping. So don't wait order now while we have our HUGE SALE going on!